The price of oil has fallen by more than 25% since the start of October. But petrol and diesel prices have been slow to respond, especially in rural areas. Fuel prices are often said to suffer from the ‘rocket and feather’ effect. When oil prices rise, petrol and diesel rocket higher. But when the price of oil falls, fuel prices are much slower to fall. This is known as the feather effect. I’ve sometimes been sceptical about this, but in the rural area of North Yorkshire where I live it’s really obvious at the moment. Prices are still between 127.9p and 130.9p for unleaded, whereas I have family down in the East Midlands who are buying petrol for about 119.7p at a nearby Asda. The big difference is that there’s no competition around here. Local towns either have a single supermarket fuel station or none at all. So there’s no reason for independent retailers to cut prices. I’m not blaming independent garages for profiting from fuel. The reality is that profit margins are slim and even if the wholesale price of fuel is falling, most other costs are rising. Back on 15 November, the RAC said that wholesale petrol prices had fallen by 9p since the start of October. Their calculations suggested that to pass on this price cut, average fuel prices should fall by about 5p per litre. The price of oil has fallen further since then, but we still haven’t seen these cuts. Back then, the average price of unleaded was 128.84p per litre. Today* it’s 126.8p per litre — just 2p less. “The supermarkets’ role in influencing pricing at all other forecourts cannot be understated – without significant price movement from the big players in a falling wholesale market, there is little to encourage smaller retailers to shift their own prices to the benefit of consumers. 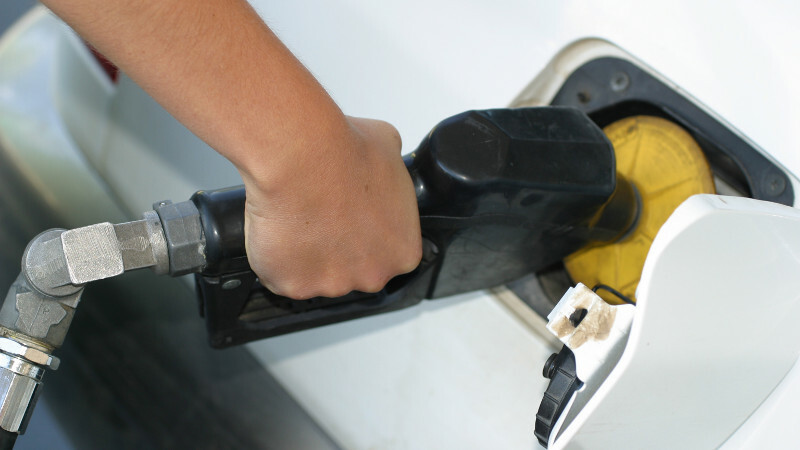 When will fuel retailers start passing on lower wholesale prices? It’s not clear to me if they will. Fuel is one of the few things left that must be bought at the time and place when you need it. You can’t buy it ahead of time, you can’t buy online and you can’t travel to another area to shop where it’s cheaper. It seems that fuel retailers are taking full advantage of the situation. I can’t exactly blame them — it’s business, after all — but I would encourage you to make use of our fuel price search tool to find the cheapest fuel in your area. Remember — please add the prices you pay so that other users can benefit. Otherwise the system won’t work. Note: I appreciate that there are some technical problems with the fuel price search at the moment. The underlying system still works, but it’s not as it should be. This system isn’t under our direct control or it would have been fixed by now. But we’re trying to sort things out as quickly as we can. *Based on RAC Fuel Watch figures 24 November 2018. ← Petrol prices are falling – but should you pay at pump?